If you missed out on your copy of the latest edition of The Wanderer last week, there will be more on sale before today's game. Just £1.50 from the WWISC stand on Hillbottom Road. Is there better humourous writing anywhere than in Thought for the Day, Go Choirboys and Dugout Deities? 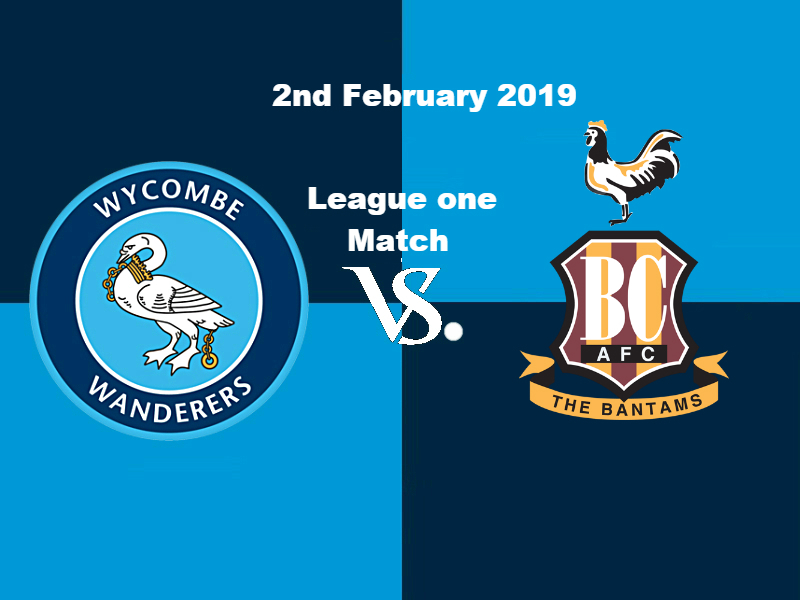 I hear that the roads around Adams Park are clear so please spread the word and encourage everyone to get down and support the boys this afternoon. Accy v Blackpool off, so we'll go 8th if we win. Hopefully no Windass on the Bantam’s teamsheet. Sorry, brain fart. Wrong Yorkshire team. Big pat in the back to the team of volunteers who worked to get this game on. Unless we lose. Then I will shift my loyalty to the groan - sorry, green army. Great effort by volunteers although my space on the industrial estate was still a bit tricky. Heads up for next time. Rocky took a long time walking to the practice goal. Disgraceful. Beastless? Hatrick for Samuel then? Starting XI: Allsop, McCarthy, Jacobson, Jombati, El-Abd, Thompson, Gape, Bloomfield, Bolton, Tyson, Samuel. Subs: Yates, Stewart, Bean, Kashket, Cowan-Hall, Owens, Harriman. Thanks @micra, glad you enjoyed it. The three articles you mentioned are superb aren't they? Three different writers incidentally. No Freeman either, is he injured as well? Yes, according to GA on Twitter. First ten I thought we were going to walk this. Bradford have been close a few too many times for a team playing tyrion lannister as a forward. It’s half time, I’ve driven 140 miles for this and I’m seriously considering heading home. A shocking half of football. Allsop timewasting from 20 mins. Tyson anonymous. Bolton looking like the ghost of Mark Boyland. Bloomers charging about on a 20 second delay. Got to go for two up front 2nd half. Basically sums it up. And not the first time this year we’ve started strongly and then fell away at home. Of course Samuel would get hurt the same week we let CMS go. How bad did it look! Hopefully we have a recall option on CMS. Long clearances over kashkett, yeah, that'll do it. I'll take the point, especially with how flat we were much of the game. I am glad we stopped Bristol Rovers, Plymouth and Bradford from catching up to us. The first priority is to avoid losing those games.